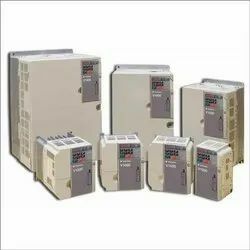 We have been consistently providing our clients with a qualitative range of AC Drives, which ensures reliable and accurate load handling. These products efficiently generate strong torque at a low speed and operate on real current vector control technology. Further, the products that we offer in this range have built-in PID controller with sleep & wake up functions for maintaining a constant pressure, flow and oil level. These products have the ability of automatically keeping the output voltage stable, even at the times of input voltage fluctuations.